Edinboro University’s student-led newspaper, The Spectator, publishes 13 times each semester, allowing advertisers 26 opportunities to share their messages with a targeted audience. The Spectator circulates 2,000 copies per issue weekly to on-campus locations where it is read by students, administrators and faculty. 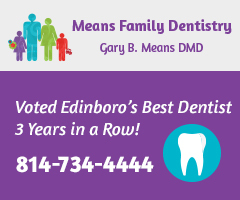 Additionally, it is circulated widely to off-campus locations serving the larger Edinboro community. The publication is free to consumers, offering unlimited access to content that matters. To find out more about advertising opportunities in The Spectator, contact advertising director Joshua Kaufer at 814-732-2459 or adverts.spectator@gmail.com. Edinboro’s student-run radio station, 88.9 WFSE – Fighting Scots Radio, remains on-air 24/7/365 in large part due to financial support from area businesses. 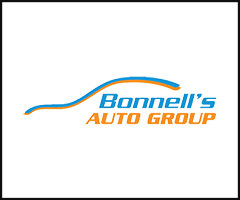 Unlike paid advertising, underwriting announcements on-air are support statements that identify businesses that sponsor local college radio and the programming on WFSE. Announcements are aired regularly in appreciation of donor generosity. WFSE plays the best rock and alternative/indie music from The Beatles to today, mixing in specialty music shows, sports talk and news segments, community affairs programming, and live coverage of Fighting Scots athletics. To find out more about underwriting opportunities for WFSE-FM, contact campus media business manager Dr. Ron Raymond at 814-732-1317 or rraymond@edinboro.edu. ETV, Edinboro’s student-led television station, produces news, sports and public affairs programs that allow a variety of sponsorship opportunities. 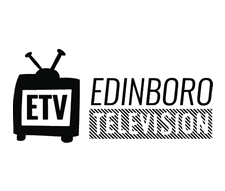 ETV is a 24/7/365 cable television channel aired on the Edinboro University cable system, where it reaches more than 4,000 students and employees who live and work on the Edinboro University campus, in addition to the 4,000 households it reaches on COAX Cable Channel 4 in southern Erie County. In addition to its weekly news program covering the campus as well as the surrounding community, ETV broadcasts home athletic events, including Fighting Scots football, volleyball, men’s and women’s basketball, major speakers, and university ceremonies, such as the winter and spring commencement ceremonies. Sponsor opportunities are available as five and ten second station identification, 15 and 30 second announcements, or program, event or streaming sponsorships. To find out more about underwriting opportunities for ETV, contact campus media business manager Dr. Ron Raymond at 814-732-1317 or rraymond@edinboro.edu. Get in touch with Edinboro Now to learn more about advertising.